Today I am showing my dream house and I found an example of each room in it. But the point is, I LIKE pink. My camera is pink, my water bottles are all pink, my running shoes, my toenails, etc. Pink is my home boy. 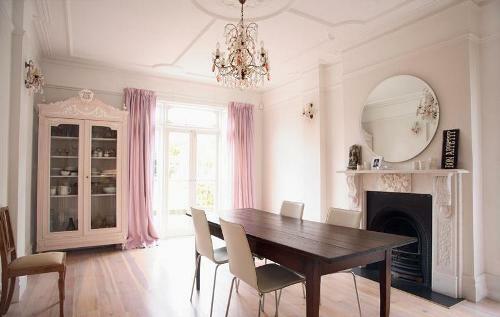 However I don't have much pink in my house. I think this is because my place used to be very red-themed and when I put red and pink together it just feels a little "valentine's day" today so I avoided pink. Then this summer I was drawn to yellow, green, and turquoise so again I didn't buy anything pink. 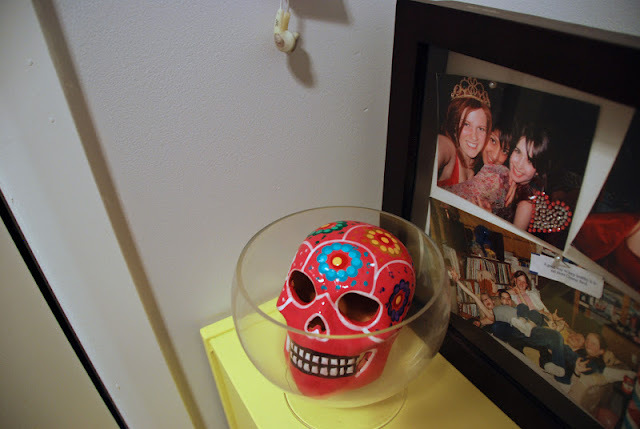 When I was in Mexico, I came across a lot of local vendors selling these beautiful hand painted skulls. I knew I wanted one- but what colour? 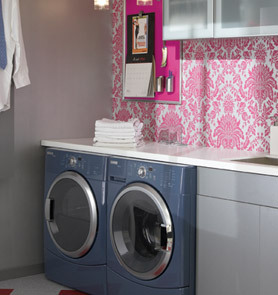 Eventually I decided it was time to bring some pink on into this condo and I picked up this! I put him in an apothecary jar just for funsies :). Actually, when we were in the ceramics store in Mexico City, they didn't have any pink skulls but my friend asked the store owner and he went into the back and found me one! Yay! I don't even know the spanish word for pink. I also picked up a purple one and a red one for my sister in law and my brother. 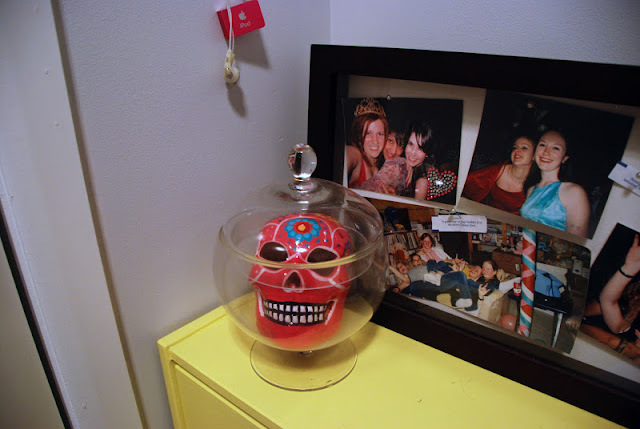 Because painted skulls are awesome. 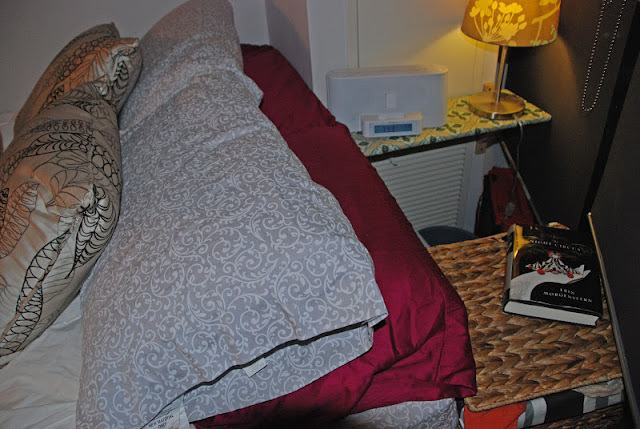 Then a week after I came home, I went to the store to buy new sheets. I originally considered a set of beautiful dark pink sheets. But then I remembered that dark pink sheets + white duvet cover = light pink duvet cover, no matter how much you wash the sheets. So I went home with just these. Sorry for the bad photo- I had to take these at night and that end of my room is SUPER dark. Isn't there a woman I've seen on TLC that has a pink addiction? I think her dog is dyed pink too. I'm kind of jealous of her commitment. 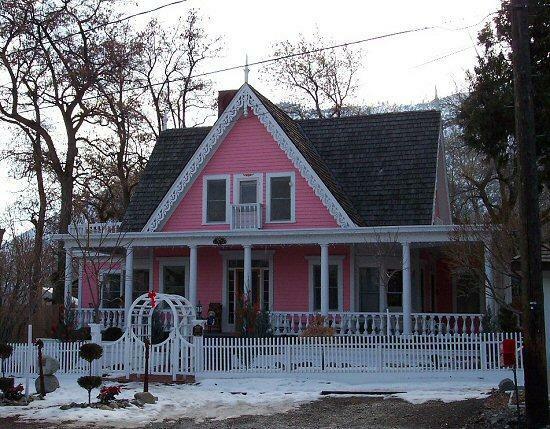 I am really loving the pink exterior and pink kitchen. 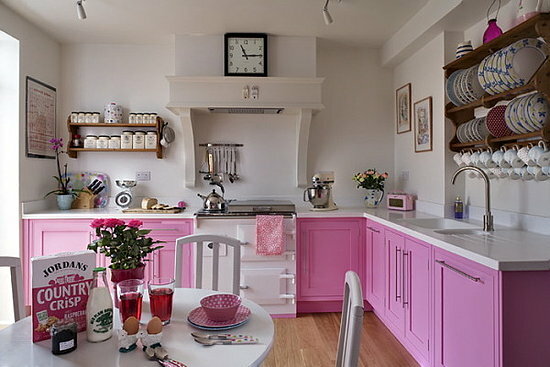 That kitchen would be so cheery to make breakfast in! very girlish..i love the color pink..very unique and fantastic..